Bloomsbury USA Childrens, 9781681190082, 400pp. 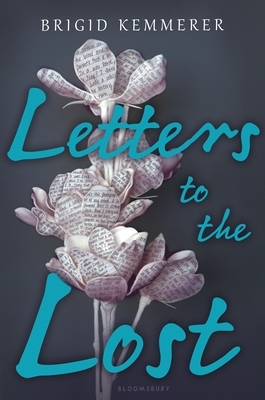 SSecret letters spark true love in this emotionally compelling romance from the New York Times bestselling author of A Curse So Dark and Lonely, Brigid Kemmerer. When Declan reads a haunting letter left beside a grave, he can't resist writing back. Soon, he’s opening up to a perfect stranger, and their connection is immediate. But neither Declan nor Juliet knows that they're not actually strangers. When life at school interferes with their secret life of letters, sparks will fly as Juliet and Declan discover truths that might tear them apart. Brigid Kemmerer is the New York Times bestselling author of A Curse So Dark and Lonely, Call It What You Want, More Than We Can Tell, Letters to the Lost, and the Elementals series. She was born in Omaha, Nebraska, though her parents quickly moved her all over the United States, from the desert in Albuquerque, New Mexico, to the lakeside in Cleveland, Ohio, and several stops in between, eventually settling near Annapolis, Maryland.